DIY - Cupcake War fundraiser! 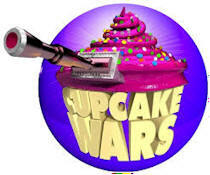 recent Cupcake Wars have generated in excess of $300,000. Around 25 bakers have participated in Cupcake Wars in each of its first two years. So far, nineteen area residents have registered to show off their baking skills for the 2016 installment. Participating bakers in the past have ranged from those who make pastries just for their own families and friends to professional pastry chefs. Only submissions by people who aren’t professionals are judged. There is no entry or admission fee for bakers participating in Cupcake Wars. Each baker is asked to submit three dozen cupcakes, which are judged according to taste, design and presentation. First, second and third place as well as baker’s choice are awarded in each category. After the judging is completed, one dozen of the winning cupcakes in each category is put up for auction. The remaining two dozen cupcakes are available for individual sale along with all remaining cupcakes. Spectators attending Cupcake Wars may purchase a box of six cupcakes for $15 and a dozen for $25. After the auction, people who purchased the boxes may then select their favorites from the remaining cupcakes. Admission to Cupcake Wars is $5 per person. Light refreshments are be served.